Iceland is a land of extremes. Open up a travel guide for the little northern hemisphere island nation and you’ll likely read it described as the “land of fire and ice.” Iceland really is a volcanic wonder and year round you can find glaciers to hike on, see ice drifting out to sea in the glacial lagoons and find thermal pools high in the mountains. During summer months, you will have over 20 hours of daylight to explore and make your way around the island. Should your sense of adventure need a boost, you can elect to drive the entire length of the ring road. This road, all 832 miles of it, makes its way around the country in a loop with some sections hugging the coastline and other sections crossing through the mountains. 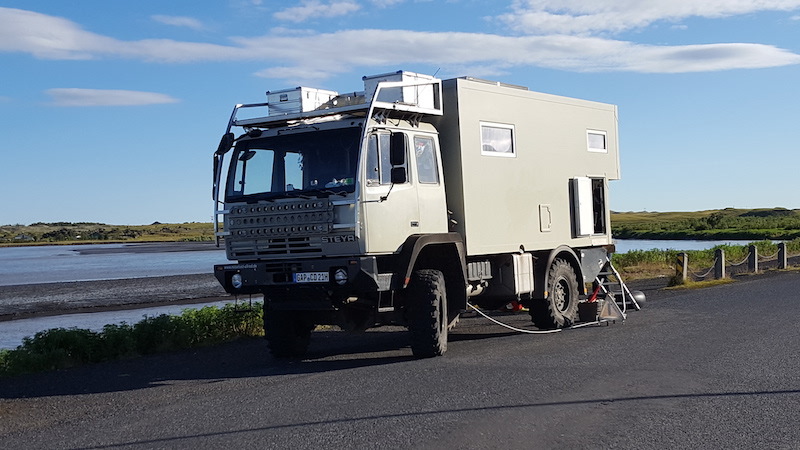 Depending where you are along the road, you’ll cross farmlands, ocean inlets, mountain passes, fields of Icelandic sheep, and pit stops filled with travelers of all types. Should you decide to roadtrip Iceland, this abbreviated guide will help you get around. Iceland, for a small country, is vast and having a rental car will give you great freedom and flexibility. Rental cars, as you know, are not all created equal so either know the limitations of your vehicle driving carefully around road hazards or rent an SUV that can handle the bumps and potholes. You can even rent a “super jeep” which is the generic name given to SUVs equipped with oversized tires or even a “super truck” that will have similar wheels but more room including sleeping quarters. Prior to driving off the lot with your rental car, jeep, truck, or RV, do yourself a favor and fill out the damage report that some rental operations consider optional. Take a cell-phone video too. The ring road is relatively easy to follow clockwise or counter clockwise. This doesn’t mean you should pass up the additional expense of a GPS with Icelandic keypad rental. There are many attractions to see along your drive that will be easier to find than trying to do so by reading Icelandic street signs with multiple vowels linked together in one of the hardest languages to learn. I wouldn’t have found half of what I saw last time I traveled to Iceland if it were not for that GPS. It is the best $7 dollars per day I spent. Other add ons will be explained to you by the rental company you book with. Some of the highlights you won’t hear about elsewhere include gravel protection as well as ash protection. The first time you drive around the southern part of the nation and past any road construction you’ll know why these are smart ideas. As previously mentioned, you should know the ability of your vehicle and be aware how it will handle on uneven roads. Iceland’s ring road is mostly paved with a speed limit of 90 kilometers an hour. That speed limit should be obeyed as there are the occasional traffic cameras that will record your speed and ticket you remotely. Occasionally your GPS will take you down roads that will bypass sections of the ring road and you just need to be careful not to drive down any roads designated as “F” roads. These unpaved roads can result in damage to your vehicle and should be avoided. Don’t worry, as long as you read the signs on the routes, you’ll see the “F” next to the number and know not to drive down them. If you are careful, you will have no trouble staying on paved roads and keeping your vehicle in working order. If you don’t get too wrapped up in your surroundings, you’ll be cognizant of the fuel level and won’t end up stranded on the side of the road with an empty tank. In Iceland, there are some long stretches in between gas stations. You should learn, very quickly, how many kilometers you’ll get out of a quarter tank of gas! Fuel stations sell gas by the liter and it can get pricey. Just take turns with who is responsible for paying for the fuel and it is bearable. From high-end hotels to campgrounds, you have many options of sleeping arrangements. Those who rent RVs always have the option of parking where allowed but must be careful of clearly posted signs stating no overnight accommodations and camping. RV’s are found around the country and you’ll find plenty of places to maintain and resupply them. Many of the hotel arrangements you find will have shared bathrooms. This minor inconvenience is made up in the price of the rooms if you are on a budget. While I can’t advise it, there are plenty of backpackers/hitchhikers who simply pack a small tent and crash where they can sneak away when hostels are full. If you’re in a vehicle, hiding the car will make sneaking away slightly harder to do. 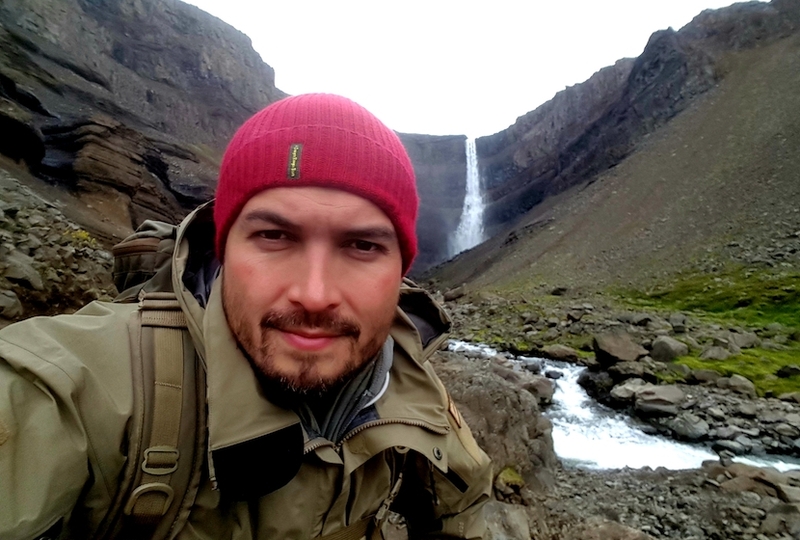 Still, I’ve traveled to many countries with a backpacking tent and used my rental car as “base camp.” In Iceland, even if you shouldn’t be somewhere, people are generally very polite about informing you and addressing the issue. Iceland has been featured on many travel shows for the unique cuisine. It also has been featured for some of its seemingly bizarre foods. Keep in mind, the food you experience in Iceland likely has deep roots in the culture. Before you peek at the menu and look at the bill, ready yourself for sticker shock. As great as the local cuisine tastes, it is pricey and there is no way around paying what you will for a meal, groceries, and snacks on the road. Surrounded by cold deep ocean water, Iceland has an incredible fresh fish supply. The many lakes and streams are also home to arctic char. 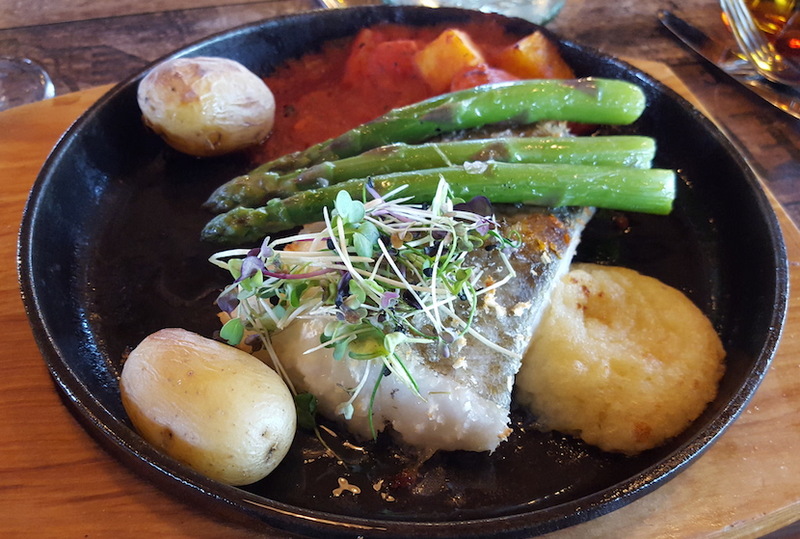 The fish found on Icelandic menus is found in stews, fish mash, and in traditional cuts baked, fried, and broiled. Other proteins found on Icelandic menus are lamb including a very intimidating dish with a baked split head and reindeer which can be found in steaks and meatballs. An Icelandic lobster is also available for about $70 or whatever the market price is at the time. If you’re wondering what the average cost of food is, it’s safe to make these assumptions. A breakfast at many hotels will run you about $20 per person. You can always purchase Skyr, the local thick yogurt that makes the consistency of Greek yogurt seem like water. A soup with bread for lunch can be anywhere from $12-20. 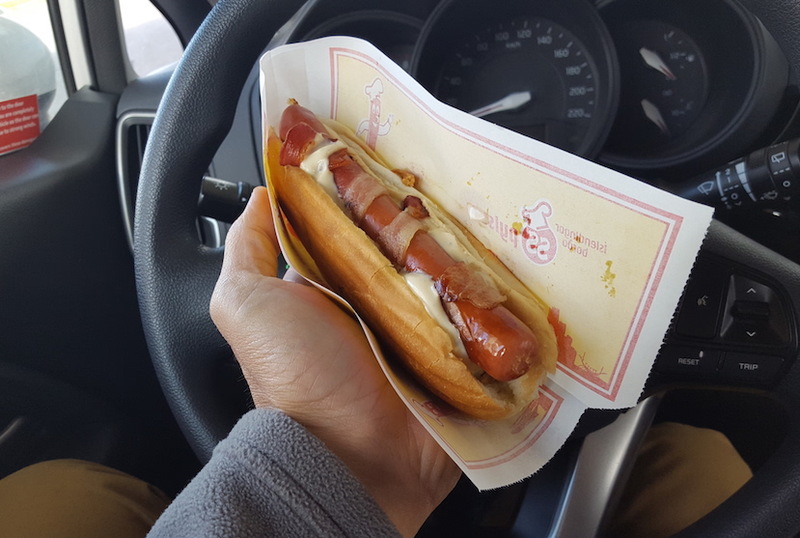 Many Icelandic people really enjoy the local hotdogs made with lamb as well as pork and beef and these are only $4. Try one with everything including a spicy brown mustard, relish mayo, fried onions, and raw onions. While on vacation, I made it a point to grab one of these a day and they do hold you over between meals. Burgers and sandwiches will cost you between $15-30 and fries may not be included. Simply plan a food budget, pack some snacks like granola and energy bars in your packed luggage to Iceland, and don’t worry about the bill when it comes. If you’ve been paying attention so far, you know how to get around as well as what to eat. What you don’t have, unless you like to drive around aimlessly, is a destination. While exploring the unknown in a beautiful and safe country is fun, you don’t want to miss the sights and attractions that draw thousands each year. If you fancy the active holiday, there are plenty of places around Iceland to stretch your legs and go for a hike. 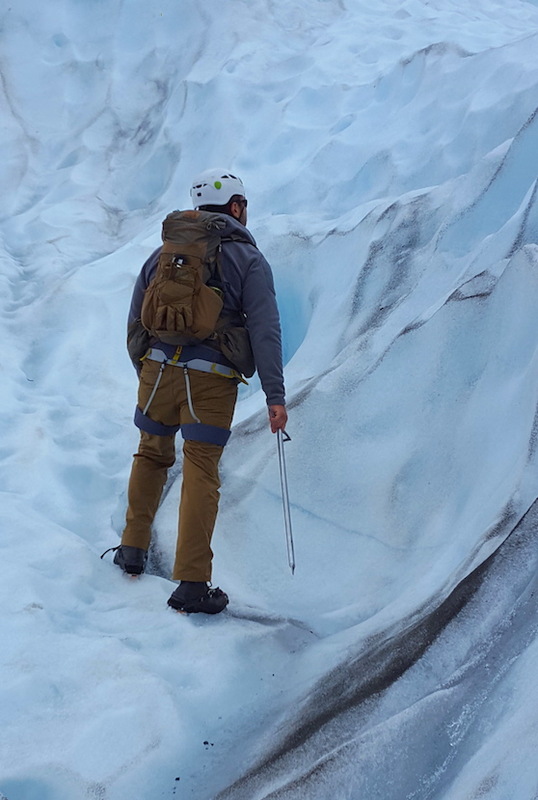 Glacier hiking is available year round and you can easily set up a hike with any number of local outfitters. They’ll provide the gear, you provide the human power. Also available are many self-guided hikes with easily spotted trailheads at the base of mountains, waterfalls, and along the road in open lava-rock strewn areas. You can also hire locals to take you fishing to all the best places. This will help you avoid the mandatory fishing equipment sanitation process that normally takes place at the Reykjavik airport. If you want to avoid this, pack brand new gear or purchase it locally. Icelanders are particularly protective of their land and don’t want it contaminated with foreign invasive species or bacteria. Speaking of waterfalls, those of you interested in photography will have no shortage of places to capture in photos and video. There is a reason why Hollywood filmmakers have used Iceland as the backdrop for movies like Batman Begins, Oblivion, and Prometheus. Iceland’s weather can give the photography perfect overcast lighting or bright blue-bird skies for incredible contrast. Many of the waterfalls are walk-up and ungated and other areas are clearly marked for your safety. Make sure to bring a plastic bag for your camera and fashion a waterproof cover as spray will get all over your equipment. Another great location to see is the glacier lagoon on the southern side of the island. This lagoon has large ice flows in it and on a warm day, you can witness these icebergs breaking off, shifting, and moving slowly out to sea. Saying you could sit for hours in awe is not an overstatement. Also, wildlife like puffin, seals, sheep, and horses area all popular photo subjects as well as many of the unique birds found across the countryside and sea coast. Historical sites around the country are also popular tourist destinations. When you walk around the old political meeting place of Pingvellir, you may recognize it as a backdrop for the show Game of Thrones. Sometimes, even a pile of rocks will inspire you make you slow down and take notice. 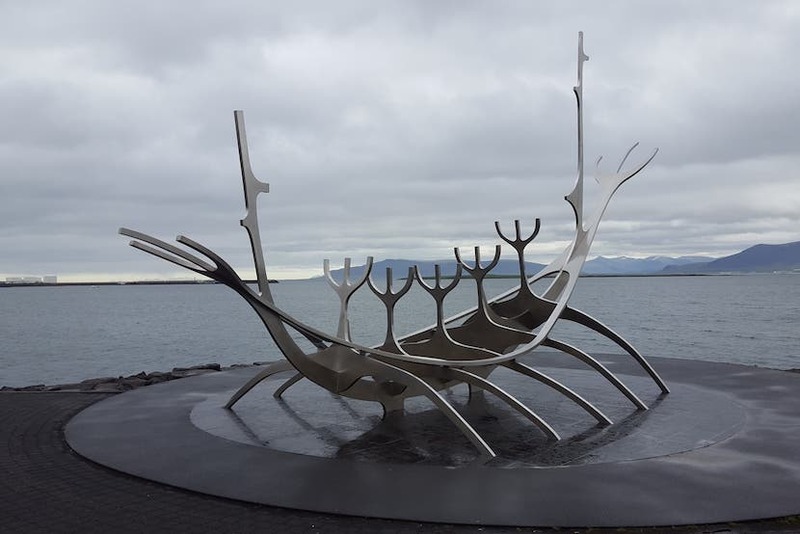 Reykjavik is a true city and you will find all the trappings of one if that is what you prefer. Icelandic nightlife can extend to the wee hours of the morning and Reykjavik has plenty of places around town to find live music or local drinks like Brennevin and Reyka Vodka. Iceland has an award-winning arts center worth a visit simply to see the architectural design. If you’re looking for unique museums, Iceland has some unique ones including one for Punk Rock, one for Viking Culture, and even the Phallological Museum with odd specimens from all over the world. Reykjavik also has a prominently placed church called Hallgrimskirkja with an impressive organ (not the same type of organ found in the last museum mentioned) and a tower you can access for about $10. This church is in stark contrast to the small quaint churches found in each of the towns you pass through along the ring road. If you’ve spent a few days hiking or burning the midnight oil in one of the larger cities, a good way to wind down is found not far from the Keflavik airport on your way out. The Blue Lagoon is approximately $90 per person and is a large geothermal spa that should be on your bucket list. This spa features water cascades that massage your neck, saunas, complimentary silica mud masks, a swim up bar, a grotto-like cave, and plenty of places to find some rest and relaxation in water that is said to have a great health benefit to your skin and overall well-being. Your pass includes the use of a towel, lockers, showers, and of course, the lagoon. No trip to Iceland is complete without a stop here in my opinion. Should you not want to spend the entrance fee at the Blue Lagoon or if you purchased one too many well drinks and ran out, you can always hike to the local thermal pools found in the mountains. Ask the locals and you’ll find many will be forthcoming with information about where to go and what to bring with you. Be careful of unmarked pools. If it is bubbling, it is probably boiling and just as you wouldn’t want to spill boiling water on yourself in your kitchen, you don’t want to jump into a boiling pool of water. When you find a remote thermal pool, sit back and take it all in. 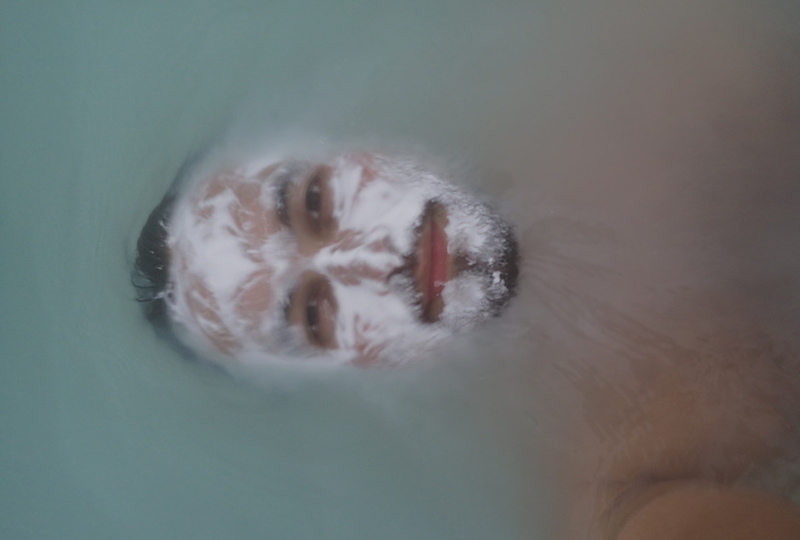 It’s an incredible feeling being in a mountain pass with snow at the higher elevations while you’re sitting in your bathing suit in a creek as warm as a hot tub. When you talk to someone who has been to Iceland, you will pick up on a noticeable change in the tone of their voice. The country has an incredible effect on its visitors. This recent trip to Iceland wasn’t my first. 6 years ago, I left the country only after a short visit and immediately started thinking about when I would return. The photos I’ve taken on my trips instantly take me back when I look at them and there is no surprise they are prominently placed near my desk when I just need to escape to the solitude of my good memories. This trip was the first time I traveled the entire ring road and I saw it from the perspective of traveling clockwise around it. An entirely different trip could be experienced working the opposite direction as occasional looks in the rear-view mirror were a poor substitute for seeing the country facing forward. Iceland is a Northern-latitude destination but it does experience seasons. Traveling to Iceland in August compared to visiting the country in winter will yield an entirely different experience. I am already planning my next trip to see the northern lights (you won’t see them in the summer by the way) and how the landscape is transformed when snow falls upon it. Getting to Iceland the first time may require some decision making. Coming back is much easier. Experience the country deliberately like a traveler and give yourself the time needed to avoid rushing through it. The entire ring road can be driven in a couple of days if you don’t care to see the country’s beauty and just the southern portion of the road from Reykjavik to Hofn can consume days of exploring without the ability to see it all in great detail. When you road trip, YOU dictate the pace in which you travel. Don’t be bound by a tour bus’ schedule, make it your own adventure.